Poles apart from the Korean obsession with youth and beauty that reign over both screen culture and societys everyday dealings, E J-yongs latest film tells a tale of shame and disgrace that feels as fresh as an open wound. And yet, The Bacchus Lady (죽여주는 여자) is as funny and elegant as it is devastating. 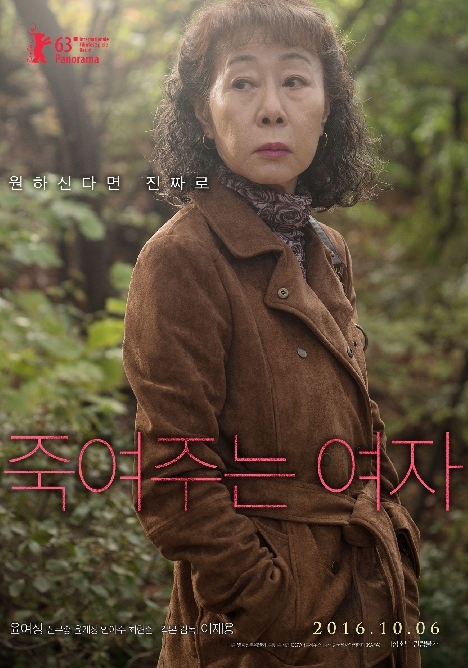 The incomparable Youn Yuh-jung, one of Koreas most revered actresses, gives another masterful performance as a sixty-something prostitute who spends her days in public parks, offering bottles of Bacchus (a brand-name energy drink) to old men as a code for sexual favors. But when a touch of gonorrhea leaves her unable to ply her trade, she is forced to find other services to offer her clients and soon turns to a darker business. We will be joined by the filmmaker E J-yong, who will introduce the film and stay for a Q&A. E J-yong is a film director best known for Untold Scandal (2003), My Brilliant Life (2014), and The Bacchus Lady (2016).